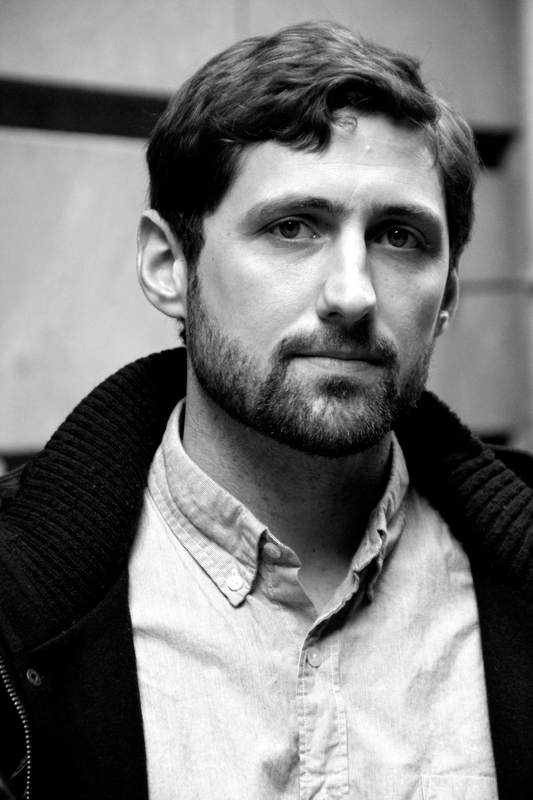 New York, N.Y. – The trustees of Saint Thomas More: The Catholic Chapel & Center at Yale University and the directors of America Media are pleased to announce that Phil Klay, author of Redeployment (Penguin Press, 2014), is the 2018 Laureate of the George W. Hunt, S.J., Prize for Journalism, Arts & Letters for outstanding work in the category Cultural & Historical Criticism. Mr. Klay will be awarded the $25,000 prize at a ceremony on Sept. 20 at Saint Thomas More Chapel & Center at Yale in New Haven, Conn. In addition to receiving the monetary prize, he will also deliver an original essay at the ceremony that will later be published as a cover story in Americamagazine. Mr. Klay will be awarded the $25,000 George W. Hunt, S.J., Prize at ceremony in September. A native of Westchester, N.Y., Mr. Klay holds a bachelor’s degree in creative writing and history from Dartmouth College. In 2005 he was commissioned as a second lieutenant in the U.S. Marine Corps. In January 2007 he deployed to Iraq with the 2nd Marine Logistics Unit (Forward) as a public affairs officer and served overseas for thirteen months, returning in February 2008. He left the Corps in 2009 and attended Hunter College’s M.F.A. Program in Creative Writing, graduating in 2011. In 2015 he became a Hodder Fellow at Princeton University and later taught as a lecturer in Princeton’s Program in Creative Writing. His work has appeared in The New York Times, The Wall Street Journal, the Washington Post and the Brookings Institution’s Brookings Essay series. In 2014 his short story collection, Redeployment, was published and won that year’s National Book Award for Fiction. Redeployment also received the National Book Critics’ Circle John Leonard Award for best debut work in any genre, the Marine Corps Heritage Foundation’s James Webb award for fiction dealing with U.S. Marines or Marine Corps life, the American Library Association’s W. Y. Boyd Literary Award for Excellence in Military Fiction, the Chautauqua Prize and the Warwick Prize for Writing. Mr. Klay is currently a fellow at the John Simon Guggenheim Memorial Foundation and is writing a novel about post-9/11 involvement of the United States in Colombia. The George W. Hunt, S.J., Prize for Excellence in Journalism, Arts & Letters, was established in 2014 to honor the memory of George W. Hunt, S.J., the longest-serving editor in chief of America magazine, and to promote scholarship, the advancement of learning and the rigor of thoughtful, religious expression; to support and promote a new generation of journalists, authors and scholars; and to support the intellectual formation, artistic innovation and civic involvement of young writers. Previous recipients of the Hunt Prize are: Dr. Philip J. Metres III, of John Carroll University;Elizabeth Dias, of The New York Times; andLiam R. Callanan, of the University of Milwaukee-Wisconsin. The George W. Hunt, S.J. Prize is co-sponsored by Saint Thomas More: The Catholic Chapel & Center at Yale University and America Media. Saint Thomas More: The Catholic Chapel & Center at Yale University serves the Catholic community at Yale by creating a vibrant and welcoming community through worship and service; cultivating informed faith and spirituality; engaging in reflective discourse on faith and culture; advancing the church’s mission of promoting social justice; and participating in the global church’s life and witness. America Media provides a smart, Catholic take on faith and culture, as the leading provider of editorial content for thinking Catholics and those who want to know what Catholics are thinking. America Media leads the conversation about faith and culture by producing excellent, unique, relevant and accessible content across multiple platforms. Our contributors are the principal figures in the American Catholic Church today, the decision-makers and opinion leaders who drive the ecclesiastical and civic debate about religion, society, politics and the arts. Our flagship magazine, America, has been published continuously since 1909, making it one of the oldest periodicals in the United States. For more information, contact Nicholas D. Sawicki, special assistant to the president and editor in chief, at sawicki@americamedia.org or (212) 515-0105.
this is what I don't get about America Magazine. Unless Mr. Klay is on hard times, why not give that money to the Poor ? America Media provides a smart, Catholic take on faith and culture, as the leading provider of editorial content for thinking Catholics and those who want to know what Catholics are thinking. and grateful that Jesus died for you. Hearty congratulations to Phil Klay.